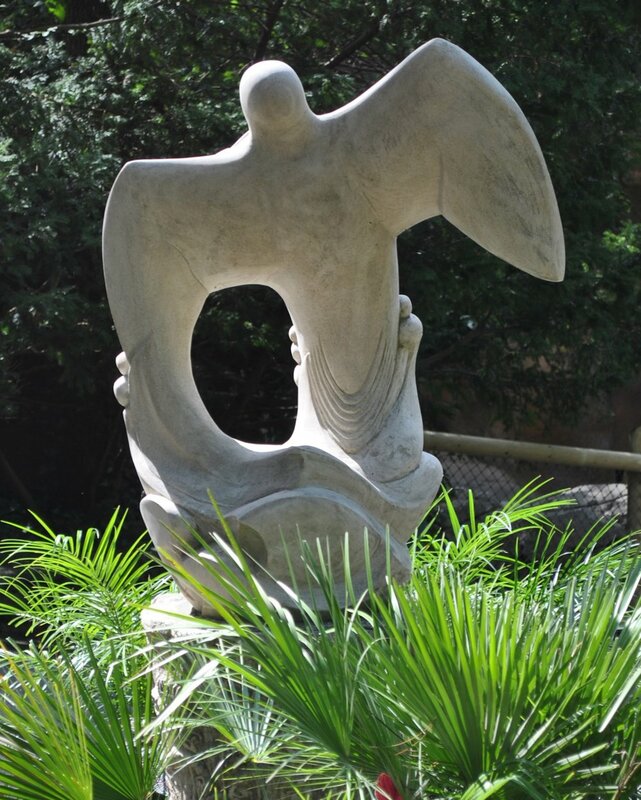 The “Dove of Peace” stone carving is at the Cincinnati Zoo & Botanical Gardens at the entrance to the Biblical Peace Garden, and was commissioned by the Jewish Federation of Cincinnati. 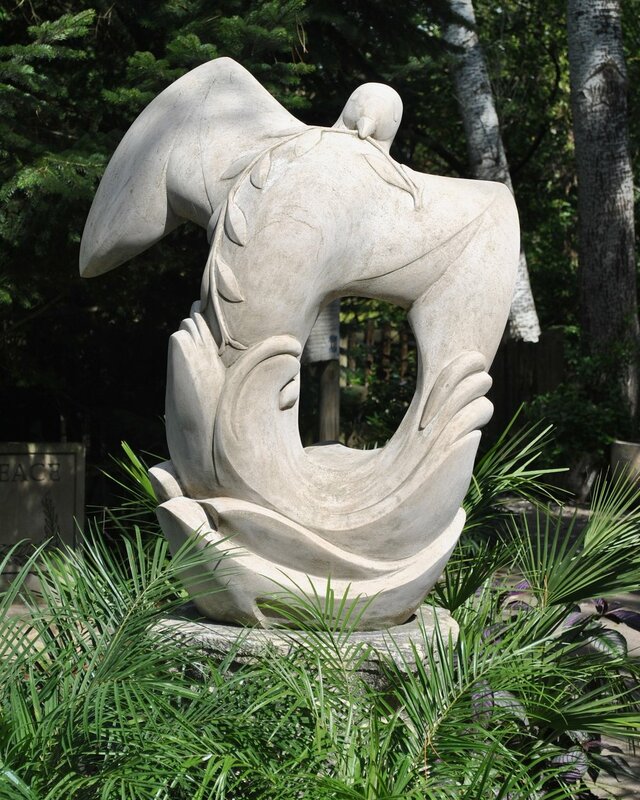 I depicted the olive-branch-bearing dove triumphantly soaring over the turbulent waters of the flood--a symbol of peace returning and overcoming turmoil. 42 x 33 x 16 inches.